Performance is too low, has serious rendering issues on the menu. Most levels are somewhat brighter than they should be. 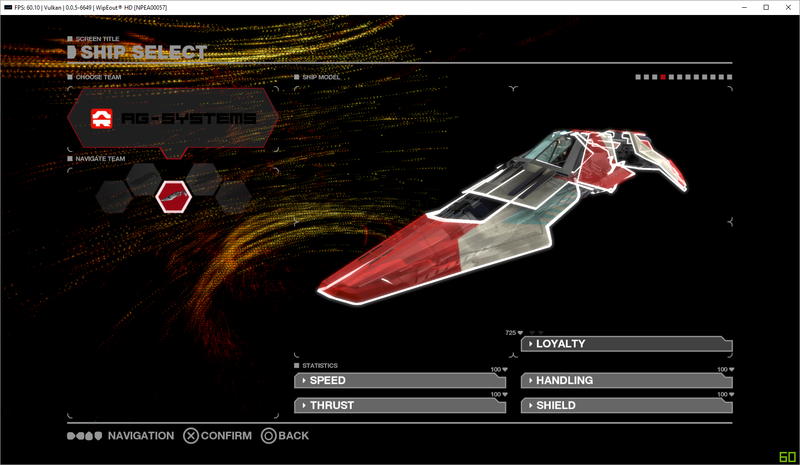 Enabling "Write Color Buffers" fixes this, but frequently crashes and introduces an incredibly slow main menu. Think the stability is affected by certain settings (confirmed SPU loop is one of them). I was able to play 4 straight races after disabling that. Might be some other things involved as well. But yeah, the performance is not great, and hard to get up to that 60 for full speed. I mostly avg. 30-40fps, which isn't terrible - picked up a lot of speed in recent builds. 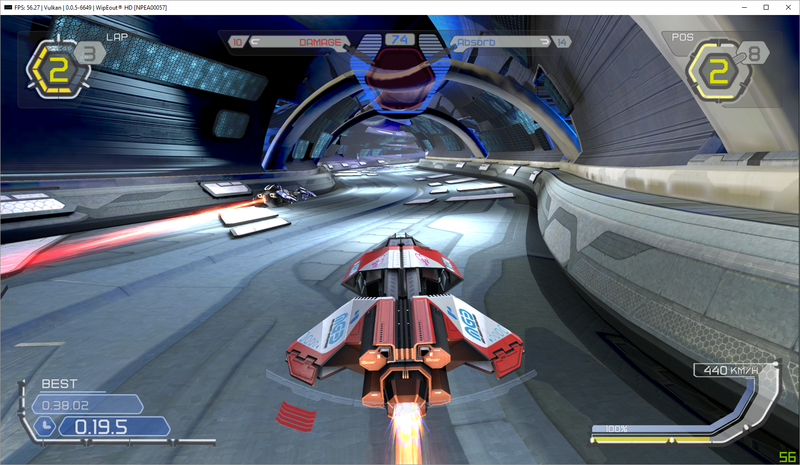 I have been playing a bunch of races and modes without much issue apart from the initial shader compiling. I realize though that my i9 might be a bit unfair to use when classifying something as "playable", but on my current setup the game is definitely playable. Still seems to have graphical issues, let alone the performance issues on the average CPU. Leaving this at Ingame for now. 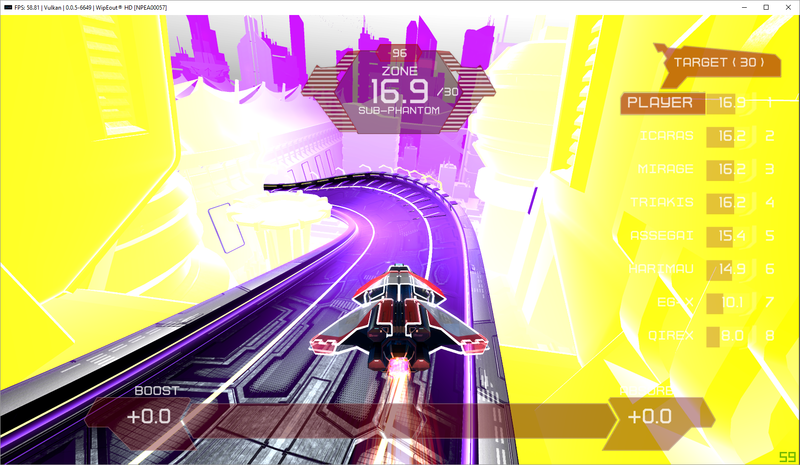 While racing against AI the game runs at 18-30fps, on solo timeattack the game is able to run at 60fps. We need something closer to 50-60fps avg. for this game on a descent machine to be 'playable' I would say, but I'll defer to Asinine for what the exact criteria is. Runs anywhere between 20 and 60 fps for me depending on which track I'm on and where on the track I am, that's on speed lap though - haven't even tried races yet. 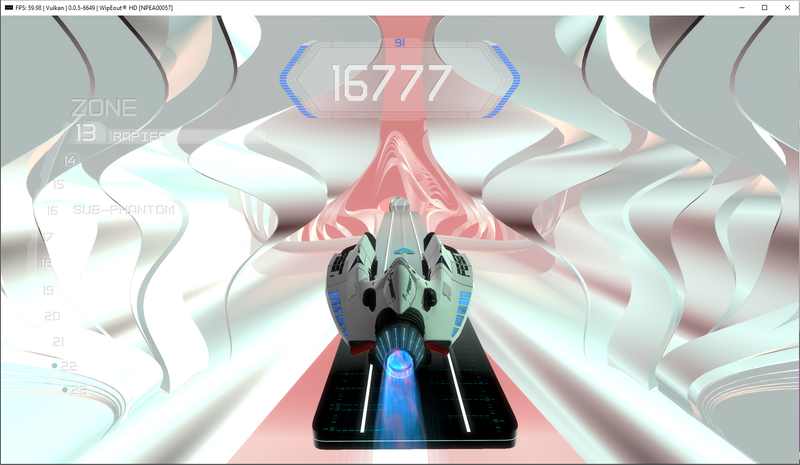 Really heavy on RAM with a big shader cache - did a speed lap event on every track to build it up to this size. Wouldn't call it fully playable at this framerate but its the first title in my library that I've gotten proper gameplay out of! Can string a couple of events together after disabling SPU loop detection but it'll eventually crash, usually in the pause menu or post race screen.